I'm looking for cast and crew for my upcoming projects. Since we need a team to join our hands, We are looking for dedicated people. If you want to join us and work together as a team, Please send us an application. 1. This is a non-paid cast&crew call. 2. 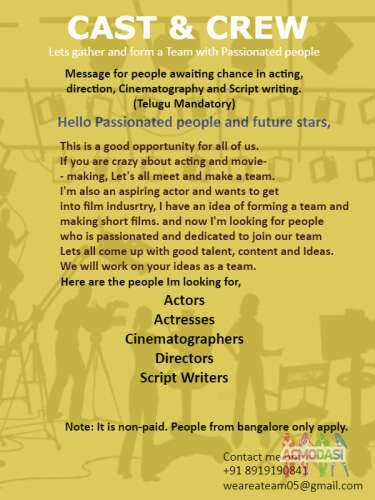 People from Bangalore only apply. "Alone you can do little. Together we can do much more".